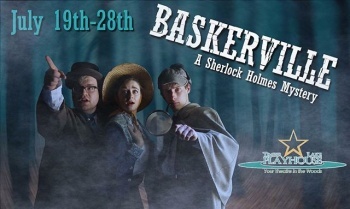 Baskerville: A Sherlock Holmes Mystery is an American play, written by Ken Ludwig and directed by Will Taylor, performed at the Timber Lake Playhouse (Mt. 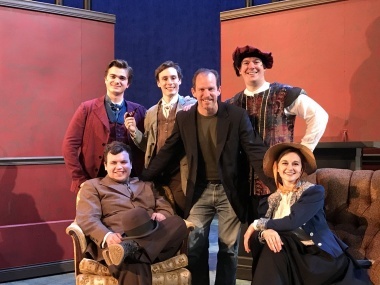 Carroll, IL, USA) from 19 to 28 july 2018, starring Alex Rudd as Sherlock Holmes and Max Bahneman as Dr. Watson.. The 40 other characters are played by the 3 other actors. 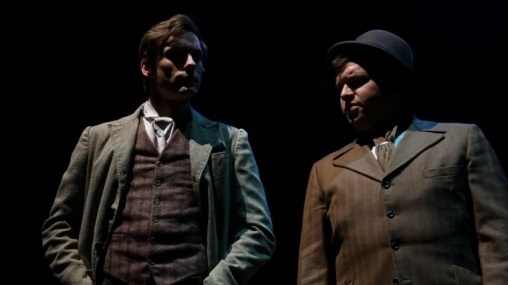 This is a comical adaptation of the Arthur Conan Doyle's novel: The Hound of the Baskervilles (1901). 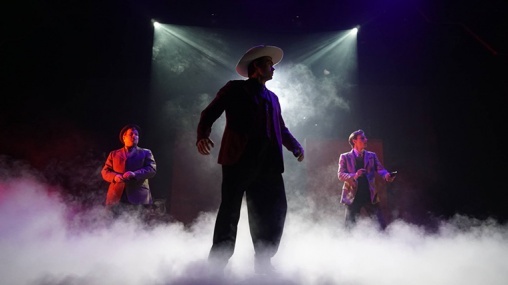 See the list of the adaptations of the same play. 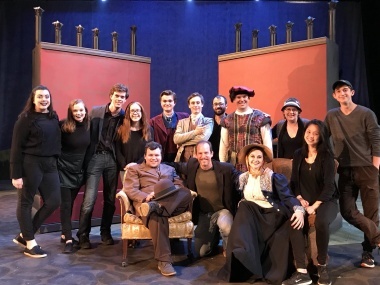 © Photos : Timber Lake Playhouse. This page was last edited on 2 November 2018, at 20:42.